To order W.I.T.S. online CEC/CEU approved courses click here. Complete 20 Continuing Education Credits (certified W.I.T.S. trainers prior to June 1, 2016 are grandfathered and only need 10 CEC’s) with W.I.T.S. approved courses and with at least .1 W.I.T.S. CEU program that has the IACET standard. The other groups that we have approved for W.I.T.S. CEC’s are at our minimum standard. You complete other programs of interest for as many as 9 CEC’s from these approved vendors*. W.I.T.S. CEU/CEC courses have an additional membership discount as well. Current proof of CPR/AED Certification. *W.I.T.S. will recognize credits from other IACET Provider organizations to include college credit courses that relate directly to the health and fitness field. We also recognize and accept CEC’s obtained from approved vendors from our W.I.T.S. store, Club Industry & IDEA conventions. Any providers outside of the above listed must be approved through a petition request. Please note our store has pre-approved online courses with home study CEC’s ready to go. Special Note: Did you know that taking a certification course online or live assures you of W.I.T.S. CEU’s to renew too?! Check out a favorite specialty topic and expand your resume. View certifications. The W.I.T.S. Certification Council requires the continuing professional development of its certificants to ensure that individuals who hold the CPT Level-I credential maintain an ongoing commitment to learning, keep pace with developments in the field of personal training, and strengthen their knowledge and skills. The mandatory recertification process provides certificants with the opportunity to demonstrate the retention, reinforcement, and expansion of their knowledge and skills. W.I.T.S. defines continuing competence consistent with how the National Commission for Certifying Agencies (NCCA), the accrediting body for professional credentials, as demonstrating specified levels of knowledge, skills, or ability not only at the time of initial certification but throughout an individual’s professional career. To support this purpose, recertification requires continuing education that enhances ongoing professional development, recognizes learning opportunities, and provides a process for both attaining and recording professional development achievements. providing a standardized, objective and straightforward process for attaining and recording continuing educational and professional activities. W.I.T.S. requires periodic recertification to promote professional development for health and fitness professionals to ensure that individuals who hold a W.I.T.S. credential maintain a commitment to learning in their area(s) of practice to strengthen their knowledge and skills. Professional development is accomplished by obtaining the required number of continuing education credits. Recertification by continuing education credits ensures that the individual has participated in professional development activities that are directly related to the body of knowledge for CPT Level-I certificants as defined by the examination content outlines. The two-year time period established for recertification is based on the Council’s determination that the certificant develop and implement personalized exercise programs to assist and improve the health and fitness for clients ranging in age, health, and fitness status through use of fitness programs required for practice in the service industry. certificants uphold the commitment to the Code of Ethics. To ensure that certificants supplement and reinforce their knowledge in appropriate subject areas, only those continuing education courses directly related to the fitness field and approved by W.I.T.S. or the International Association of Continuing Education and Training (IACET) will accrue toward the 20 hours of continuing education credits. CPT Level-I certificants are required to recertify every two (2) years by earning 20 hours of continuing education credits, signing the Code of Ethics, and submitting a current copy of the Adult CPR/AED certification. Recertification includes submission of a completed recertification application and recertification fee. W.I.T.S. certification expires on the last day of the month two (2) years following the date of certification. For example, if an individual is certified on May 15, 2016, certification will expire on May 30, 2018. Applications for recertification must be submitted at least 90 days prior to the date on which the certification expires. Recertification reminder notices are issued 120 days before the recertification application deadline to the last known email address of each certificant. 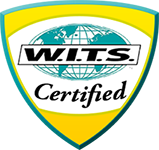 Certificants are responsible for notifying the W.I.T.S. office of any changes in address, including email address. Recertification is the responsibility of each CPT Level-I certificant. W.I.T.S. is not responsible for notices that fail to reach certificants. After initial certification is obtained, continuing education credits may be accrued and used for recertification. Certificants must accrue the required number of CECs designated for the CPT Level-I certification during each continuing education (CE) cycle, which is a two-year period. Continuing education credits must be obtained between the date of initial certification and the date that the recertification application is submitted. CECs do not carry over to future reporting periods. Documentation of the continuing education credits must be submitted with the recertification application to the W.I.T.S. Primary source verification of all continuing education credits is required. The CEC submission must include the following information and documentation: (a) the name of the program sponsor, author or presenter of the activity; (b) the date(s) on which the activity was conducted; (c) the name of the course, program or seminar; and (d) documentation sufficient to provide proof of attendance or completion of the activity, as well as proof of the CECs earned with respect to the activity. Continuing education activities and topics directly related to the knowledge, skill, and ability statements on the detailed content outline of the CPT-Level I will be accepted. Continuing education credits must be earned from a W.I.T.S. or IACET approved/accredited provider. Certificants may request approval for credits received from non-approved providers using the Petition for Continuing Education Credits (CECs) Form available on the W.I.T.S. website. Continuing education credits may be earned at workshops, conferences, conventions, seminars, college/university courses, and webinars. Credit may be claimed only once for each activity. For example, a 1 hour presentation that is delivered at two different conferences can only be claimed for 1 CE credit. Participation in W.I.T.S. Educational Programs Online CEC programs or pre-approved CEC providers. CECs pre-assigned by W.I.T.S. or approved providers. Certificate of completion from the approved CEC provider. Participation in Education Programs offered by IACET Accredited Providers Must be directly related to the fitness field. Providers are accredited by IACET. Certificate of completion from the accredited CEU provider. Accredited University/College Courses Undergraduate and/or graduate courses must be directly related to the fitness field. CECs directly correlate to the college credit hour. Example: a 3 college credit hour course is worth 3CECs. Official transcripts from the accredited university/college. W.I.T.S. Webinars Online and/or live CEC program or pre-approved CEC providers. CECs pre-assigned by W.I.T.S. or approved providers. Certificate of completion from the approved CEC provider. Participation in Webinars offered by IACET Accredited Providers Online/live CEU program or accredited CEU providers. Providers are accredited by IACET. Certificate of completion from the accredited CEU provider. The CPT Level-I recertification fee is $75 USD. W.I.T.S. accepts payment in the form of check, money order, or credit card. Certificants incur a $35 fee for returned checks. W.I.T.S. will not validate CPT Level-I renewal until all fees are remitted. A recertification application will be considered incomplete if any of the requested information is missing or illegible or the appropriate recertification fee is not remitted. Recertification applications must be submitted online or via USPS, unless the applicant has a disability that requires the application to be submitted in another format. Candidates will be notified once via email that the recertification application is incomplete and what must be done to complete the application and recertification process. If the candidate does not respond, an email notification is sent to inform the candidate that the application will not be processed. Applications must be complete before they are processed and approved. Incomplete applications will not be returned, and recertification application fees will not be refunded. A $25 fee will be incurred if a certificant requests W.I.T.S. to return any documentation submitted during the recertification application process. In order to maintain the credibility and integrity of the certification process, the Certification Council reserves the right to verify any information provided on recertification applications. Requests for verification may be made prior to recertification or at a future time. Certificants are advised to retain all recertification documentation for at least two (2) years after each recertification deadline. All recertification applications will be reviewed by W.I.T.S. certification staff to ensure that all recertification requirements are met. If any areas of non-compliance are identified during the review of a recertification application the individual will have 30 days to submit any required information. If the required information is not provided, the certificant’s certification will expire at the end of the 30 days or on the normal expiration date (whichever comes last). If an application is selected for audit and the certificant does not respond or does not submit the requested documentation, certification will not be renewed. W.I.T.S. issues a recertification confirmation, new certificate, and a wallet card to certificants once all recertification requirements have been met. Recertification applications will not be accepted from individual’s whose certification status has been suspended or has been revoked. Recertification is mandatory for all certificants. If certification has been expired for 60 days or less, an individual may reinstate his/her certification by meeting all of the recertification requirements, submitting a complete recertification application, and paying the recertification fee and reinstatement fee. If the application is approved, the individual’s expiration date for the reinstated credential will be the same as if the certification had been renewed on time. If certification has been expired for more than 60 days, the certification becomes invalid and will not be renewed, and the individual will have to re-apply for certification, meet the current eligibility criteria for initial certification, and re-take the certification examination in order to reinstate certification. CPT Level-I certification may not be used from the date of expiration until the credential is successfully reinstated. The Certification Council acknowledges that not all sources or types of continuing education contribute equally to professional development. All continuing education credits earned must be on acceptable topics and from acceptable activities as defined above. Note: The same CEC course cannot be used in any following renewal period.